Ken Sch waber, the co-creator of Scrum and founder of Scrum.org, created the Nexus framework and corresponding Nexus Guide to help organizations scale Scrum. This datasheet provides a brief overview of Nexus and some ideas on next steps. 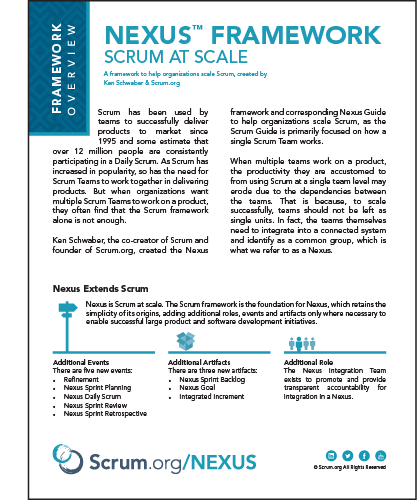 To learn more about scaling Scrum with Nexus, visit the Scaling Scrum Resource Center.